Lift Every Voice, 9780802462916, 336pp. Shelia Rushmore thought she'd be the last woman standing when it was time to fight for her man. Instead Ace, her boyfriend of two years, chose to reunite with his ex-wife, leaving Shelia emotionally devastated. It's a year later when Sheila is convinced that sneaking into their wedding ceremony will put closure on the gaping hole in her heart. But it's on the back pew of the church where a new relationship begins for Shelia. She can't explain the touch she received from God on that day, but she's determined to be a better woman-a woman of faith. Since high school, Shelia has been chasing her definition of the good life - it's left her with no home, no man, and no money. But now that's she's living life for God, things should get better, right? Shelia learns that living a faith-filled life isn't always easy. With faith, tough love, and some tough decisions, Shelia realizes that the life she'd been praying for she could have for herself is actually attainable. Being wrapped in God's arms, she decided, was by far the safest place she'd ever been. 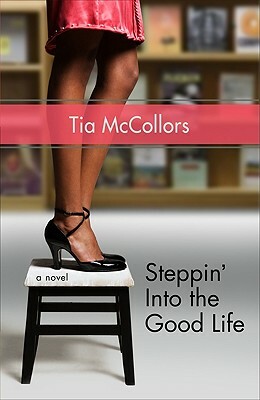 TIA MCCOLLORS (University of North Carolina) has emerged as an inspirational speaker and author of faith-based novels, including Zora's Cry, The Truth About Love, and A Heart of Devotion. She lives in the Atlanta, Georgia area with her husband and son. For more information, visit Tia online at www.TiaMcCollors.com.